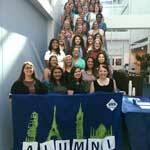 Introducing the current AIFS Alumni Ambassadors! These students recently studied abroad with AIFS and are back on campus sharing their experiences and talking to students who are considering study abroad. 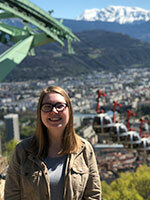 If you would like to contact one of the Ambassadors to talk about studying abroad, please email alumni@aifs.com. Hey everyone! 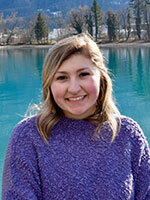 My name is Hannah Natale and I am a senior at the University of Vermont pursuing a degree in public communications. I have a love for travel and this came to light a few years back when I volunteered abroad in Guatemala and the Dominican Republic. Ever since I’ve had the desire to study abroad. I finally got to live out my dream and travel to Buenos Aires, Argentina during spring semester 2018. I am so excited to share this passion with other prospective study abroad students. It truly is the experience of a lifetime. While studying abroad you learn a certain skill set that you otherwise wouldn’t have had the chance to experience and I believe that every student should have this opportunity. Hi everyone! 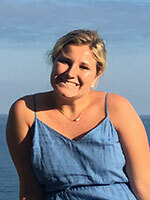 My name is Hanna LeBuhn and I’m a Senior at the University of Connecticut. I’m a Global Health major with a minor in Spanish. Traveling has always been something extremely valuable to me and I knew I had to study abroad before I graduated college. I studied in Buenos Aires, Argentina and am so happy I chose South America in general. There is so much more of this continent I want to see, but so grateful for the opportunity I had to experience a piece of it. I plan on working abroad after graduation specifically in a Spanish-speaking country. I’ve loved every chance I’ve had to experience new cultures, meet different types of people, and be out of my comfort zone. I don’t necessarily live by a specific quote but I really believe that no matter where you are in the world we are all connected somehow. I hope to inspire other people to go out of their comfort zone and take a chance on experiences rather than things, that will change their way of thinking and chance to connect with others. Grüß Gott! 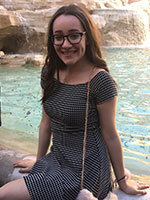 My name is Jane Greis and I’m a senior at Towson University in Maryland, majoring in Anthropology and International Studies with a minor in German. I had the amazing opportunity through AIFS to study at the Universität Salzburg in Austria during the Fall 2017 semester and could not have chosen a better city to spend my semester abroad. Not only did I learn so much about Salzburg and the surrounding areas of Europe, but I gained insight into and confidence in who I am as an individual and where I see my future taking me. While abroad, I had the opportunity to practice my German everyday and immerse myself in the Austrian culture throughout the city. Exploring the city of Salzburg is truly like walking through a fairytale and living in that fairytale for four months is an experience I will never forget. 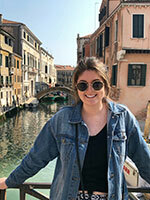 Through being an AIFS Ambassador, I’m excited to share my insights into and love for the study abroad experience! Hello! My name is Sloan Nickel and I am a junior at Drake University studying International Relations and Law, Politics, and Society. As an International Relations major, I always knew I wanted to study abroad. The major problem? : picking a place to study! Then I found out I could study abroad in the mountainous country where Julie Andrews danced and sang along to catchy songs such as “Do Re Mi”. After looking through the millions of pictures of the beautiful mountains and green countryside, I was hooked to say the least. Over the course of the 4 months of my study abroad I fell in love with every part of Austria. I loved the food (apple strudel and schnitzel! ), the people, the countryside, and the beautiful city of Salzburg. And of course, I saw a lot of the Sound of Music sites. Besides the Sound of Music gazebo, another one of my favorites parts of Austria was the centrality of the country. It allowed me to travel to 11 different European countries throughout my time abroad. Travelling was an amazing experience, made even better by the friends I was able to travel with. AIFS allowed me to meet some amazing people that proved to be great travel buddies and lifelong friends. I’m so glad I studied abroad and had the experiences I did with the people I met, and I can’t wait to help others find their new favorite people and places! Hallo! My name is Trevor and I am a senior at Grove City College located in western Pennsylvania. 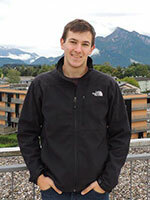 I am dual majoring in accounting and international business with a concentration in German. 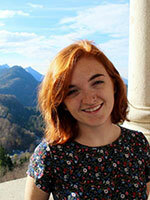 At Grove City I am a part of the touring choir, accounting society, and work in the Office of International Education. 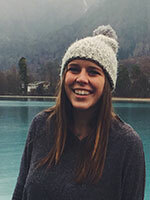 Studying abroad in Austria gave me the opportunity to grow not only in my German while living in an immersive environment, but also grew in my confidence and independence in all of my adventures. It was quite an experience to be able to meet people not only from the United States, but from all around the world. One thing that stuck with me is that my semester abroad is only the beginning of so many other experiences that I hope to have. I was pushed out of my comfort zone and challenged to the greatest extent. I would do it again at the drop of a hat and it’s created a desire to continue to travel. To find those small nooks and crannies that go unexplored. To not be a tourist, but a traveler. Bis spater! Let’s get into it! As a Senior Psychology Major, studying abroad has taught me more about human behavior than any textbook could. Being a student of life is about living outside of your comfort zone. It would have been easy - incredibly easy to stay where I was and do what I was used to. But I knew I wouldn’t grow that way! I think that to really know yourself, you have to be willing to shed everything you know - your language, way of life, even friends and family for some time. And when that happens, you learn to view yourself in a global context. While living in Costa Rica, immersed in a foreign language and culture for 3 months, I realized that we each have an obligation to one another - to both teach and learn. My experience through AIFS taught me how language shapes reality. We as students must work to create a better, more connected, and more sympathetic world. As I pursue my Ph.D. in Clinical Psychology, I hope to provide free art therapy to Black and Latinx (Spanish-speaking) communities placed at risk. I am so excited to help other students discover and define themselves through this life-changing opportunity - feel free to ask me anything! Pura Vida! 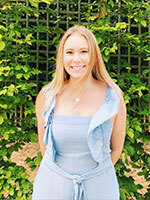 My name is Tara Maxey and I am a senior at Concordia University Irvine. I am majoring in theatre with and emphasis on acting and directing. Studying abroad was never initially in my plans when I got into college. I thought it always looked cool, but I never thought that I’d have the opportunity to do so. Living in Costa Rica for 3 months was the best decision I have ever made. Being able to live with a host family, meeting so many other students that have turned into lifelong friendships, excursions that I will never forget, and an increased education that will stick with me for the rest of my life were just half of the many blessings that received by studying abroad. I know that whenever I return to visit Costa Rica, I will have a loving family and friends that will act as though I never left. I am so grateful for AIFS! Hey y’all, my name is Ali (sounds like alley and is not short for anything). I’m from Houston, Texas and I am going into my senior year at Texas State University, majoring in sociology and minoring in journalism. I find the social behaviors, traditions, and beliefs of people to be extremely interesting. There are so many more opportunities to learn from the differences between people, rather than ignoring or suppressing them. Culture is the foundation on which people’s customs and values are formed – this is what I love to study. And that is exactly what I got to do for four months this past semester in the beautiful country of Costa Rica. Living in Costa Rica was the opportunity of a lifetime and as anyone who has studied abroad anywhere says, I am a different person because of it. Not only did I experience a new culture, see the most beautiful views of my life, eat delicious food, travel to countries outside of Costa Rica, and make friends who I will know for many years to come, but what impacted me the most about studying abroad was learning more about myself. It’s probably clichéd at this point, but it’s true. Something about going to an entirely different place creates the moments you need to discover yourself. But don’t take my word for it, go try it! Ahoj! 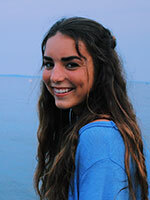 My name is Maureen Sampson and I’m currently a senior at the University of North Carolina at Charlotte. I study Marketing and I am planning on graduating in May 2019. I was fortunate enough to pick up a minor in International Management at the University of Economics in Prague, Czech Republic in Spring 2018. I went into studying abroad with an open mind and excited as ever and I came back with so much knowledge about the history that went on in all the places I visited. I had the opportunity to go to 12 countries and 20 cities during my experience. I have always craved adventure and gone out and done those crazy things even if they are life threatening! I led a two-week rafting expedition and mountain climbing team and had to survive off of what was in my bag. However, going to Prague was a totally different experience. I learned to adapt to strange and uncomfortable situations, especially language barriers quickly and it has made me a much more confident and outgoing person. Studying abroad has shaped me into an even better version of myself. I will forever treasure the memories and friends I made in Prague and I can’t thank AIFS enough for that! Hi everyone! My name is Laura McIntosh and I am going to be a senior at Ohio State this upcoming fall semester. I am majoring in health sciences with a biology minor and am applying to a fast track nurse practitioner grad school program this summer. Going abroad to Prague my sophomore year was single handedly the best choice I made in my college career thus far. Being exposed to new cultures, new cities, and new people changed my perspective on life and on people for the better. It challenged and changed me in ways that are immeasurable and everlasting. It made me grow into the best version of myself and created a wanderlust within me that will never be satiated. I am very excited to meet and hear about all of your experiences and more importantly hear of all the places I will have to visit next. Hi there! 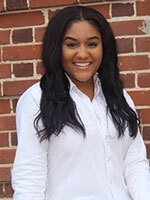 My name is Katerine Cuzco and I am a senior at McDaniel College. I’m majoring in Biology and Environmental Science and I hope to pursue a career in Marine Biology and Conservation. I am passionate about the environment and its biodiversity and I always wanted to visit Galápagos because of its flora and fauna. I’ve heard great things about Galápagos and I promised myself that I would go there. I found out that AIFS provided a JanTerm to the islands. I took this opportunity and I packed my bags and I was ready to go to Ecuador since the day I received my acceptance letter. When I got to Galápagos I fell in love with it. Every day was an adventure for me. I had the opportunity to make great friends and to go on trips such as swimming with hammerhead sharks, sea lions, sea turtles, and tons of colorful fish. It was a paradise and I will definitely go back to Galápagos. This experience helped me to step out of comfort zone and to learn more about my strengths and passions. I learned a lot from my homestay family and they helped me become familiar with the culture. This experience opened my eyes and helped me figure out what I want to do in the future. I believe that studying abroad changes your perspectives, it allows you to see the world from a different view. You make great friends and you learn a lot about yourself that you didn’t even know. 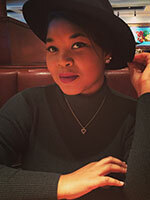 Hello Everyone, I am Angelena Castro a senior at North Carolina A&T State University. I am studying Journalism and Mass Communication with a concentration in Multimedia. I aspire to executively produce a children’s television series. I was raised in a small rural town in the south of North Carolina. 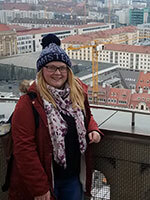 Ready to explore, at the age of 18 I went to study abroad in Berlin, Germany with AIFS. As expected, my life was forever changed as a result of that decision. For the first time I felt an incredible amount of independence, but to whom much is given, much is expected. I made sure to attend my classes and maintain good grades. When I returned to U.S. I knew I absolutely wanted to study abroad again. So, during the fall semester of my junior year I was busy falling in love with the city London. In contrast to my first experience I engaged more with the community around me. I made friendships that I will value forever. This will be my second experience as an AIFS Alumni Ambassador. I hope to reach and inspire even more people than I did before! Hi everyone my name is Jada Jefferson! I’m a rising senior at Western Kentucky University double majoring in Theatre and Diversity and Community Studies. I just returned from a semester in London and it had to be the most life changing experience of my life thus far. From the busy, fast-paced streets of London to the relaxed, bike riding people of Amsterdam, I found that the world was my oyster! While at my home college, I found myself getting caught up in the stress of trying to make the perfect grades and be the perfect student, that I knew I was missing out on the experiences most college students get to have. I realized studying abroad would be the perfect solution to this problem. I never thought that someone like me would be able to study abroad, but through AIFS, I was able to have the most meaningful experience and with so many scholarships! As an AIFS Ambassador, I want to ensure that no matter who you are or where you come from, studying abroad can be for you! Bonjour! 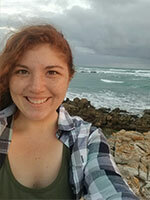 I’m Nathalie a 4th year student at Ohio Wesleyan University. I am double majoring in French & Pre-Law. I was born and raised in Dayton, Ohio, which makes me a huge Ohio State Buckeye fan. At my university I am involved in Greek Life, Panhellenic Council, Pre-Law club, & work in the Office of Admissions. I love my family, my dog Addi, and traveling. Studying abroad was my first time overseas, which made it all the more exciting. 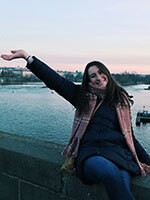 While abroad I improved my French, made connections with other international students, and became a lot more confident in my own abilities, as well as eating a lot of baguettes. I can’t wait to see where I travel to next, and I’m excited to help you get started! Bisous! Bonjour tout le monde! My name is Emma and I’m a senior at the University of Arkansas, double majoring in Finance and Accounting. I took a break from my job in the Office of Student Activities on campus to spend a semester studying abroad in Grenoble, France! It was the perfect city for me, and I loved every aspect of it, from the people to the paninis to the beautiful mountain ranges that surrounded Grenoble. Before I left to go abroad, I knew that I enjoyed traveling, thanks to the fact that I travel frequently because I go to school in Arkansas and my parents live in Alaska. After returning, I realized that I absolutely love it! Spending a semester in France helped me realize that I want to work at a company that deals with international business so I’ll have the opportunity to continue traveling the world and interacting with people of different cultures. (Maybe I’ll even get to practice some of the French speaking skills I perfected with my host mom! 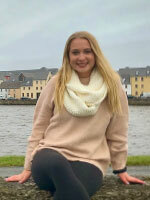 Though she may have a different definition of “perfected.”) My semester abroad was such a rewarding experience and I would recommend it to anyone and everyone! Hallo! I am a rising senior at Tiffin University double majoring in Psychology and International Business with a minor in Forensic Psychology. I was born in Russia and in 2012 moved to the United States. I am fully involved on my campus and hold several leadership positions that help me share my experiences. I enjoy working with people and being a change agent in my community. Last fall I had a fantastic opportunity to study in Freie Universität Berlin and travel around Europe. Throughout the semester, I made wonderful connections with locals and students from the U.S. In addition, I took five academic courses that helped me develop more profound knowledge of political and economic bases of the U.S. and Europe. During the semester, I did homestay that turned out to be an incredible experience, and I can’t wait to go back visit my homestay family. Szia! 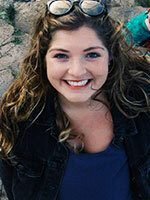 I’m Kelsey and I’m currently a senior at the California State University of Chico. I plan on graduating this next Spring of 2019, with a Bachelors of Arts in Communication Studies of Public Affairs and a Minor in Marketing. At Chico State, I am a member of the sorority Alpha Phi and an active volunteer in the Chico community. 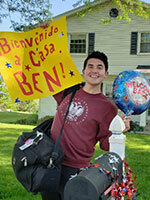 In the spring semester of my junior year I made a last minute decision to take off and study abroad for four months! It turned out to be the best decision of my life. I studied abroad in the incredible city of Budapest! Not only did I have the opportunity to experience a different culture and university life, I made some true friendships that will last a lifetime. This experience recharged my love to learn and my passion to travel. While abroad I visited 9 countries and spent a good majority of my time immersing myself in the Hungarian culture. I encourage everyone to study abroad during their college career and embrace your curiosities while you are there. This unique experience will stay with you wherever life takes you next. Namaste! 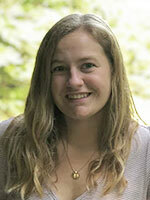 I am Katrina Hanson, a senior at Bethel University in St. Paul, Minnesota and I will be wrapping up my B.A. in Business with an emphasis in marketing this spring. Growing up I had several cousins who studied abroad, my parents had travelled internationally and I knew I wanted to follow in their footsteps. In my spring semester of sophomore year I had the awesome opportunity to study abroad in Hyderabad, India. This experience was life changing, to say the least! I became a more independent young women, was able to do lots of traveling, and experience many new cultures. As a native to India, traveling back as an adult was quite amazing. I am grateful for the semester I had, people I met and memories made. After graduating in May I hope to pursue a career in international education where I can help young adults pursue dreams similar to my own. Hi! 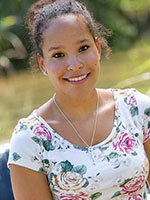 My name is Nikki Weinkauf and I am a junior at the University of South Florida. On campus I am on a dance team and am also a member of the business fraternity Delta Sigma Pi. To say that I was excited when I found out that studying abroad was a requirement for my major, Global Business, would be an understatement. I’ve known since I was a little girl that I wanted to see the world. That’s why I know that my study abroad experience in Limerick, Ireland will not be the end of my world traveling. One quote that I have valued a lot throughout my life so far is by Ricky Martin, “A hero can be anyone from Gandhi to your classroom teacher, anyone who can show courage when faced with a problem. A hero is someone who is willing to help others in his or her best capacity.” That is why one of my favorite experiences abroad was a volunteer program where I got to help out in the community that I was calling home for 4 months. I truly believe that we all have the capability to be heroes in our own way, and I hope to take that belief with me while I travel, and I encourage everyone else to as well. Whats the craic? My name is Dylan DeJames, I am currently a senior at the College of Charleston. I am an Exercise Science major, I hope of going to grad school and pursuing my dream to become a pediatric occupational therapist. I was lucky enough to spend last fall at the University of Limerick in Ireland. As cliche as it is studying abroad changed my life for the better. I found a group of people that I immediately connected with, my AIFS peers! Everyone was there for the same reasons ready to explore and up to any new adventures. We all chose Ireland for some reason making it easy to bond, it was like making friends at summer camp! Studying abroad helped me find myself, or who I wanted to be by surrounding myself with incredible people, during a time I felt the window of making new friends in college had closed. I came back happier than ever, ready to tackle the rest of my junior and senior year. I cannot wait to share my experience with others and potentially give someone else hope for the rest of their college career! Cheers! Ciao! My name is Justin Edwards, and I am from Lafayette, Louisiana. 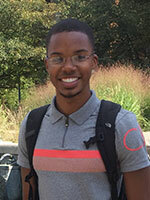 I am a rising senior at Howard University in Washington D.C. where I study Political Science and Economics. 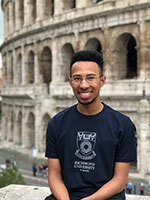 Howard University helped open the doors to a life changing opportunity, studying abroad in Rome, Italy during the Spring of 2018. While in Rome, I studied European Politics and Global Issues. I was afforded the unique opportunity of interning at the Joel Nafuma Refugee Center during my time abroad, where I worked on fundraising, data analytics, and French and English language instruction. I am passionate about empowering underserved and minority communities. During that same Spring that I was in Europe, I received the distinct honor of being named a 2018 Harry S. Truman Scholar for my commitment to leadership and service. Embodying Howard University’s motto, “Truth and Service,” I am both an avid scholar and a devoted public servant who plans to pursue a Juris Doctorate degree upon graduation. Ciao ciao! 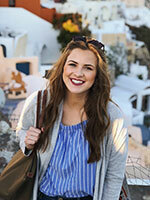 My name is Chelsea Evans and I'm a senior at the University of Rhode Island studying communications and Italian. 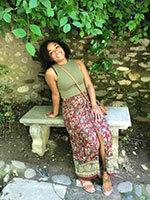 Studying abroad was an amazing opportunity for me to develop skills used in my majors. Since I was in Florence, Italy, I got to improve exponentially on my Italian skills but I also learned a ton about communication in general within somewhere other than the U.S. Living in Florence was an unreal experience; I had an amazing apartment located on Via de' Tornabuoni (the Rodeo drive of Florence), and got to walk to school with a view of the historic Ponte Vecchio. Studying abroad provided me with lifelong memories, friendships, and the best pasta I have ever had. Hi I’m Alexandra Landry. I’m a senior at Curry College. I’m majoring in Communication, concentrating in Corporate Communication and minoring in Politics and History. I’m from Portland, Maine. My semester abroad was my first time to Europe, which was very exciting. I visited six other countries while I was there: London, England; Paris, France; Dublin, Ireland; Interlaken & Zurich, Switzerland; Athens & Mykonos, Greece and of course, all throughout Italy. I took four classes while in Florence, one being photography, which is something I really enjoy. I spent my semester embracing the beauty and culture of Italy and the rest of Europe. I definitely took over 5,000 pictures. I’ve done two other study abroad trips through my home institution. They were both two week faculty led trips. One was to Cuba in January of 2017, and the other to Mexico in January of 2018. Both trips focused on the politics, history and culture of the given country, and the trips also allowed me to pick up my minor. I’m currently in the lead for most study abroad programs at my home school. I’m planning to go on the trip next January to Argentina. Hello Everyone! My name is Samantha and I’m a senior at Southern Illinois University! I study fashion merchandising and minor in marketing. On campus, I am a proud member of the American Marketing Association and the Public Relations Student Society of America. This past spring, I had the incredible opportunity of studying fashion in the original fashion capital of Italy, Florence. This experience turned out to be so much more than I could have ever imagined! I made friends from both America and Italy that I know will last a lifetime, I learned how to travel alone, a skill that is so valuable, and most importantly, I tried the best tasting food I’ve ever had in my life! ;) In all seriousness, I was given the chance to open myself up to new experiences, people, and cultures. This lead me to realize what I want to do with my career and a new passion for travel. I hope everyone reading this gets the chance to have their own life-changing experience studying abroad. Ciao for now! Ciao! 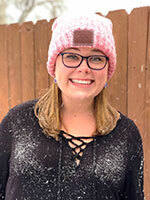 My name is Carly and I am going into my junior year at MSU Denver as a pre-nursing student. During the Spring 2018 semester I was lucky enough to study in the beautiful city of Florence, Italy, and had the greatest time of my life. Not only did I meet amazing and life-long friends, but I was also able to experience the culture of many different countries. This experience allowed me to learn about the world first hand, and also taught me a great deal about myself. I was able to learn about being independent and how to navigate through any challenges life may throw my way. My time abroad has opened my eyes to my passion for travel, and has helped me decide that I want to continue to experience what other parts of the world have to offer. I would recommend studying abroad to any and everyone, because I truly believe that everyone should get to have the same learning opportunities that studying abroad provided me with! Ciao! My name is Zenya or Zen. I am a junior at the University of Tampa, where I study Political Science and International Studies, and a member of Sigma Kappa Sorority. I am a lover of languages— I am fluent in English and Spanish, and can functionally speak Italian and French. In Spring 2018, I got to spend the best semester of my life in Rome. I took art history, European Union and Italian Language courses. It was amazing getting several on-site lectures since there are hundreds of churches in Rome filled with great works of art (mostly) for free. My favorite church was San Luigi dei Francesi (St. Louis of the French) with Caravaggio paintings. It was a great semester soaking up Italian culture, food, and art! Given Italy’s amazing location, I got to travel across Europe for 4 months while visiting places I only dreamed of going to. Studying abroad taught me so much about myself, including learning how to be independent and broadening my perspective on many things. I can only hope I can help other students have the semester of a lifetime, like I did. Ciao! My name is Amie and I am from a small town in New Hampshire. Currently, I am a rising Junior at Emmanuel College, in Boston, MA. I am majoring in Elementary Education and plan to graduate in the Spring of 2020. When I’m not busy with sports, school, and clubs I am usually drawing or painting. 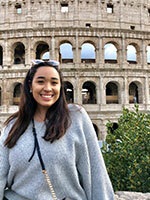 This past semester I had the opportunity to study abroad in Rome, Italy! Being a lover of art, this was an incredible experience. This experience not only satisfied my need for art, but made me discover my true potential. I was able to travel to Krakow, Poland and Florence, Italy thanks to AIFS. Not only was I taking art history and language classes at my university, but I had the chance to volunteer in a school. I was able to teach 3rd graders English. Being a future educator, this was an experience that I will always remember. This experience allowed me to discover that I want to be an international teacher one day. I believe that I left Italy with a better perception of life after college, confidence, and the capability to be fearless in situations where I may not fit in at first. I am incredibly grateful for my experience abroad. I cannot wait to inspire others to take the jump, study abroad, and discover what life truly has to offer them. Hello friends! I once thought the transition from my small rural hometown in Western NY to Pittsburgh, PA for college was the biggest change I would ever experience. Oh, how I was wrong. Embracing on my journey alone to a tiny beautiful island on the other side of the world as a Sophomore in college topped anything I have ever experienced. If you asked me why I picked to live and study in New Zealand for five months, I really couldn’t tell you why other than being drawn to its natural beauty. The experiences starting with living with a host family in Suva, Fiji to living out of a van for ten days in the South Island of New Zealand taught me more about the world, humans and myself than I have ever learned from a textbook. Not to mention the amazing and inspiring people from all over the world I came across during my time in the Asia-Pacific region who also changed my perspective on life. Returning back to my home university in Pittsburgh, I decided to change my major the spring of my Junior year from Occupational Therapy to a more general Health Sciences degree to continue exploring my new found interests and passions. I hope to continue learning and growing thanks to these experiences abroad while simultaneously encouraging and inspiring YOU to embark on your transformative journey. So where will you go? H! 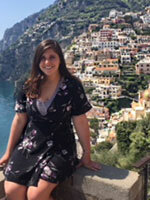 My name is Alexandra Augustine and I am a senior psychology student at Siena College in Albany, New York. 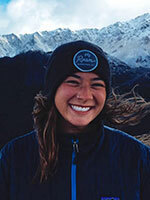 This past spring I had the amazing opportunity to study abroad in New Zealand for almost five whole months! New Zealand has always been on my bucket list and having the chance to live there and fully submerge myself into the culture was an opportunity I couldn’t pass down. While living in New Zealand I took advantage of traveling as much as I could - not only throughout the country of New Zealand, but also to Fiji, Bali, and Australia. I have always had a strong passion to travel but these experiences were all completely new to me. On some of my travels I traveled by myself, facing new difficulties totally alone, which helped me grow so much as a person and my own individuality. I was able to enjoy some of these countries most amazing and beautiful places in peace and solidarity. In my other travels, was traveling with friends who I had only just met, which challenged me to be true to myself while accepting others for who they are, because at this point you’re both going through the same things. I have made friends from all over the world during my time here which I intend to keep and continue my travels with in the future. Studying abroad is an experience that forces you to break out of your comfort zone and try new things and in doing this, you will find that you may surprise yourself in your ability to adapt to new changes. There is SO much more to this beautiful world than your hometown and home university, I encourage anyone reading this to take advantage of studying abroad and spreading your wings into new opportunities! Hey everyone! My name is Brook and I currently attend ISU, where I will be a junior this coming fall. As a Biology major with a minor in Chemistry, I plan to one day join the human health field - though the exact direction remains to be seen! 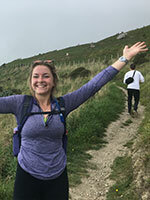 One method of exploring the vastness of the medical domain comes in the form of my study abroad, a public health program from Stellenbosch University in South Africa this summer. Though I have yet to depart and experience this particular adventure, I have little doubt that this trip with surpass even my highest expectations and leave me hungry to explore the rest of our world! Africa has always been the number one country on my list to visit (The Lion King may have been a slight influence), and so this trip is truly the ideal opportunity for both my personal and career goals. I’m looking forward to everything this program has to offer, particularly the things I couldn’t possibly expect. Hello! My name is Jordan Sharp, and I am a junior at the University of Hartford. 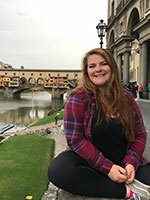 I am studying Integrated Elementary and Special Education, so a service learning program at a school was important when choosing my study abroad program. I want to be a teacher because I want to make a difference in my students’ lives, even if it is in a small way. At Stellenbosch University, I took the Learning, Sustainability, and Community Engagement course, which allowed me to teach at a township school each week. On the walk from the bus to the school, our students came up to us, smiling ear-to-ear, grabbing our hands and proudly escorting us into their school. It was about more than teaching them English, we built real relationships. The difference in language and culture forced me to confront my biases and engage in critical reflection, which fostered mutual learning and growth. Outside of class, I enjoyed hiking mountains, eating delicious food, meeting locals, going to markets, and much more. South Africa has a little bit of everything, which made each day a new adventure! I loved my time there, and I cannot wait to travel again! 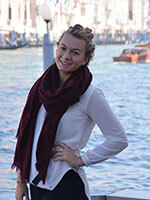 As an AIFS ambassador, I hope to share my experiences and help others plan an amazing semester abroad! Hello! I’m Sara and I am going to be a senior this upcoming year at the University of Northern Colorado. I study sociology with a concentration in institutional inequality. 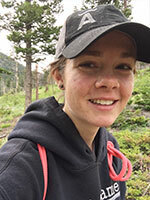 I love to hike in Colorado, camp, cliff-dive and overall just enjoy being in nature. Therefore, South Africa was the perfect option for me. 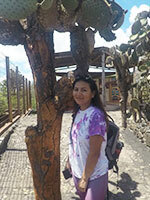 Not only do I love the outdoors, but I enjoy learning about new cultures and volunteering. Before leaving I was volunteering for the Global Refugee Center near my university, where I got to teach children. I took the incredible opportunity, and decided to study abroad in South Africa this past semester. My time in South Africa was full of endless growing opportunities and adventures. I took the learning for sustainability and community engagement course while studying in Stellenbosch. This class helped my peers and I become more socially aware and mindful of the world outside of our own. Also, in this class we went to the township of Kayamandi to work with the children. This allowed us to become more immersed in the Xhosa culture and put us to the test with our understanding of global citizenship. Like many, I love food! Trying new and good food is always fun. My favorite is a tie between lamb tails and zebra. It may sound a little odd, but it was pretty good! Overall, this experience goes beyond words and overall is very meaningful to me. Hola Hola! My name is Matea Manterola and I am a Junior at Oklahoma State University, majoring in International Business and minoring in Spanish. Traveling has always been my biggest passion and hobby, and I knew even before graduating high school that I had to study abroad in college. AIFS allowed me the opportunity to study abroad in Salamanca, Spain, during the Spring 2018 semester. This beautiful and historical city was the best place I could have studied abroad, and being in Europe allowed me to experience and travel to eight different countries during the semester. Going abroad allowed me to live outside of my comfort zone and I was able to learn so much about myself throughout my journey. I truly believe that the best way to find out who you are is by leaving all your comforts behind: your family, friends, language, way of life, etc. Although I have grown up speaking Spanish my whole life with family, living in a Spanish speaking country allowed me to really immerse myself. After studying abroad I have confirmed my dreams of working abroad upon graduating from college and continue to travel the world. While abroad I met lifelong friends, gained a new second family, and found a new home that I will return to as often as possible. I will never be able to thank AIFS enough and I challenge every one of you to go out and live your best life abroad! Hello! 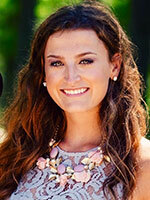 My name is Greta and I am a senior at the University of Alabama, majoring in public relations and economics. 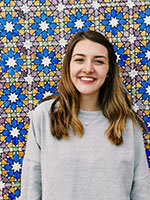 I have always wanted to explore and experience as much of the world as possible, which is why I studied abroad spring of my sophomore year in Barcelona. I grew up in San Antonio, Texas, so Spanish has been a part of my life since I was young. I also love the sun and the warmth, so Spain seemed like a perfect choice! I have never loved living anywhere like I did Barcelona. Barcelona gave me four amazing months of warm, sunny days, beautiful hikes, trips to the beach, and great food. It also brought me to the people who would walk three miles up hill to split a baguette and watch the sunrise over the mountains. My time abroad taught me so much beyond what I learned in my classes while there. Everyday brought new experiences, and every weekend a new adventure. 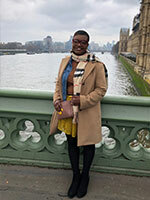 I love to encourage and inspire others to study abroad, as it is the most fulfilling thing I have ever done. Hi everyone! 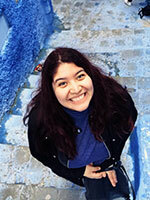 I’m Kassy and I am a senior at Drake University, studying Marketing, International Business, and Spanish. I studied abroad in the most beautiful place in the world, Barcelona, Spain! Not only did I fall in love with traveling, a new culture, and amazing food, but I also met tons of lifelong friends along the way. My experience in Spain was spent exploring, traveling to 12 countries, volunteering at Terral, and learning things about the world and myself that I never thought possible. It has sparked the travel bug in me and I am already planning my adventures back. Studying abroad was the best decision I have ever made and I can’t wait to help others to do the same! Allow me to introduce myself, my name is Jordan Cutler a senior at Claflin University, the first Historically Black College and University in South Carolina. I’m majoring in Mass Communications with a concentration in public relations. I have two minors in Business Administration and Spanish. I am member of many organizations on my campus, including Pre-Alumni council, Alice Carson Tisdale Honors College, and Alpha Kappa Alpha Sorority, Inc. I can’t imagine living a stagnant lifestyle and that combined with my interest in others culture and my love for travel is what made me spend of the greatest semesters in Salamanca, Spain. What I thought would be solely a linguistic experience turned out to be so much more than I could have ever imagined. I strongly believe that if people appreciated diversity and practiced inclusion the world would be a more understanding and compassionate place. Upon graduation, I hope to create a public relations firm where I can help corporations implement effective diversity and inclusion practices in their work environments. I encourage others to travel, not only to see the world, but to learn about the world. The experiences I have will forever shape my perspective on others and life and as an AIFS Alumni Ambassador, I’m excited to help others do the same. Hola y bienvenidos a AIFS! Kaitlyn’s the name, exploring is the game. I absolutely loved my time abroad in Salamanca, Spain during the fall 2016 semester. In those five months, I gained valuable lessons in learning to love myself, improving my Spanish language capabilities, developing respect and appreciation for different cultures, and eating chocolate croissants every day without gaining any (okay, maybe a little) weight! Every single experience I had abroad from small acts like walking the Plaza Mayor while enjoying some gelato on a hot day (or a cold one -- gelato has no limitations) to grand excursions in Morocco, Italy, or the Canary Islands have affected who I am today. Not a day goes by that I do not use what I learned from my time spent in Salamanca. 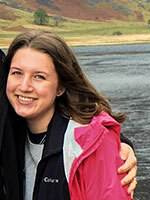 Currently, I am a senior studying Spanish, Spanish Education, and Religious Studies at the University of Wyoming. I love to learn new things which is why I love adventuring. In my free time when I am not studying, mentoring, working for the Education Abroad Office, or tutoring Spanish, I love to read, write, hike, color, bake, play with my dachshund, and take spontaneous trips to Barnes & Noble that usually end in my bookshelf a bit fuller and my wallet a bit lighter. A few things you should know about me: I am an avid Harry Potter nerd, enjoy a good cup of coffee, and am a fan of the oxford comma. ¡Qué tal! My name’s DaCota Hollar and I will be a senior at Capital University in Columbus, Ohio studying Spanish and International Studies. Going to Granada, Spain allowed me to live my high school dream of living in a Spanish speaking country. I flew to London with AIFS knowing nobody and left Spain three months later with friends and memories that will last me a lifetime. While studying in Spain, I was able to see all the major cities in the country and Burgos, Lisbon, London, the north coast of Morocco, and Bucharest, Romania! Whenever someone asks me what it was like studying abroad, I only have positive things to say! One of my favorite parts was living with a host family in the center of Granada; this was scary at first, but I improved my Spanish so much. I’m extremely excited to be an Alumni Ambassador for AIFS so I can help others have their own unique experiences abroad! ¡Hola todos! 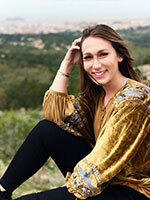 My name is Hannah and I’m a senior at the University of St. Thomas where I’m studying International Business and Spanish. A few years ago, I had the opportunity to travel to western Europe, where along the way I visited the city of Barcelona, Spain. To make a long story brief, I fell head-over-heels in love with this city. 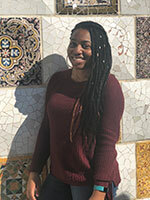 I set my heart on returning back to Barcelona in the near future, and this past spring semester I was blessed to be able to do so for my study-abroad experience. Immersing myself into both the Spanish and Catalan cultures, as well as utilizing my Spanish speaking capabilities, was an incredible experience to say the least. Eating endless tapas in the Gothic Quarter, beach days, shopping in Las Ramblas, hiking, and weekend trips abroad were just a few of the many activities that I participated in during my free time abroad. My semester abroad in Barcelona helped to open up my eyes to the incredibly diverse world in which we live. Traveling the world is a life-changing experience like no other. I’ve learned to enjoy every single moment in life, both the big and little; that a backpack, passport, and your best friends are all it takes to have a life-changing adventure; and most importantly, I learned the value of friendship. It’s not about how long you’ve known someone that makes them a true friend, but it’s the memories shared between them that do. I owe my amazing semester to the AIFS Barcelona staff, who made it the truly incredible journey that it was. Their endless love, kindness, compassion and support towards me helped to shape my experience into a truly incredible one. I’m so thankful that I can call not only Minnesota my home, but Barcelona as well. For these reasons, along with many others, I’m super excited to be an AIFS Alumni Ambassador, and to help encourage and excite perspective students to take advantage of this truly amazing once-in-a-lifetime opportunity. Barcelona, ¡tienes mi corazón para siempre! Hola! 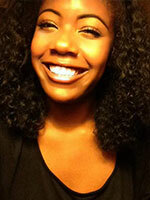 My name is Latisha and I am a senior majoring in multimedia journalism and minoring Spanish. I have dreamed of living in Spain and immersing myself in the culture since before college, so watching my dreams unfold before my eyes was a great feeling of accomplishment. Also it was my first time on a plane and overseas! 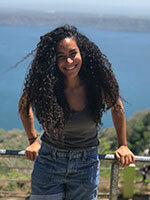 This experience inspired me to continue to learn Spanish and gave me the confidence to plan more trips. I never expected to fall in love with a place and its people as much as I did. I lived with a host mother who is an amazing cook and my stay with her went incredibly beyond my expectations. I also made deep connections and friendships along the way. My next major destination travel goal is South America to a country like Costa Rica or Peru. I am passionate about food and vegetarianism as well and would like to write on this subject to educate others. I’ve learned through this experience that food and culture go hand in hand. Hola! My name is Tessa Kirk and I’m a rising junior at California Lutheran University double majoring in Psychology and Spanish. Long before heading to college I knew I wanted to travel the world and study abroad. I was so lucky to have been able to live and study in such an amazing city! I met so many amazing people and had the time of my life! As cheesy as it sounds it truly changed my life. I feel I am a better and stronger woman now and can take on any of life’s challenges. I learned so much about myself as well as the culture I was in. I lived with a host family and it was amazing! I have no complaints about my experience abroad because it was the time of my life! In the future I would like to work with individuals with IDD (intellectual and developmental disabilities) and help make a difference in this world of ours. Hey y’all I’m Liza Thorell! I am a junior at The University of North Carolina Wilmington in Wilmington, NC (Wilmington is Tree Hill for One tree hill lovers). I am currently studying Political Science and Communications studies. This past spring I had the amazing opportunity to study abroad for a whole semester in Barcelona, Spain. This is something I have dreamed about doing since I was a kid so I was so excited to go! I had the greatest time abroad, I was able to go to 11 countries and even got the chance to go to Morocco in Africa! Prior to studying abroad I had traveled to Europe, but actually living in Europe was totally different. Living abroad gave me the opportunity to become immersed in a completely different culture. I lived in a AIFS apartment abroad with assigned roommates. Those 3 assigned roommates went from roommates to best friends and my little Spanish apartment became my new home! Studying abroad was the greatest experience of my life and I miss it everyday!! Thank you AIFS for giving me the best experience abroad, I can’t wait to be an AIFS ambassador! Hi! 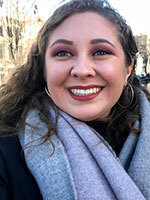 My name is Emily Van Liedekerke and I am a senior at Saint Mary’s College of California double majoring in Women and Gender Studies and JCL (Justice, Community, and Leadership) with a minor in Spanish. I was born and raised in Chicago but was drawn to California for the sun and adventure. I have always had wanderlust and I was motivated to study abroad in college after spending a month in high school studying with AIFS in Granada, Spain. Last year, during both semesters of my junior year, I studied in Barcelona, Spain and it was the best decision I ever made! During my time in Barcelona, I had the opportunity to create a new day each day. I explored the architecture, ate my way through the city, got lost in the tiny streets, swam in the Mediterranean, and so much more. 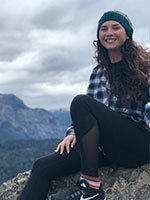 I immersed myself in the Catalan and Spanish culture and Spanish language by living in both a homestay and Residencia while taking Spanish classes. Being abroad, I traveled to new cities in Europe (Prague was my favorite trip), met people from around the world, and grew as an individual. 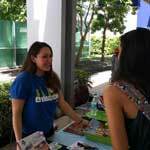 As an AIFS Alumni Ambassador, I hope to inspire students to go outside their comfort zones by studying abroad. ¡Hola chicos y chicas! 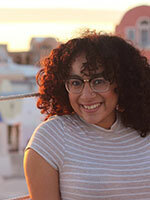 My name is Jennifer Vargas and I am a senior at Rowan University, in NJ. While studying abroad I realized I was in the wrong major so now i’m studying what i’m passionate about which is International Studies with Business and Economics and a minor in Spanish. During orientation before my freshman year even began at college, I knew I was going to Barcelona! Everything I SAY, I DO. Family and friends doubted me because of expenses and since I’ve never been out the country alone. Thankfully, I was lucky to have been awarded a scholarship with AIFS that give me the opportunity that changed my life. I proved everyone who doubted me wrong and I went to Barcelona for the Fall semester. I met so many people while I was abroad, such as the amazing professors, friends from all over the world and my homestay mom. Barcelona, Spain will always have a place in my heart, it was my second home. 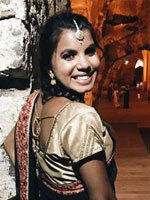 Studying abroad gave me a global perspective. It made me realize that I LOVE to travel, so I try to go abroad at least once a year and i’ve been to thirteen countries (most while I was abroad). I encourage everyone to study abroad. If I could do this entire experience all over again, I definitely would! Bon Dia! 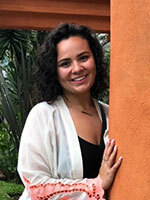 My name is Xenia Vidal and I am a senior at Mount Saint Mary’s University, Los Angeles double majoring in Political Science and Spanish Translation. 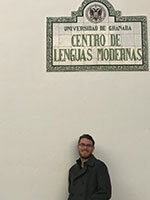 I studied abroad my entire junior academic year at the Universidat Autónoma de Barcelona in Barcelona, Catalonia, Spain. Studying a year abroad provided me the opportunity for a complete cultural and global education. As a political science major and as a future candidate for elected office, studying in Catalonia in the midst of a heated political independence movement was one of the most transformative experiences I could have asked for. In a year, I have travelled from Iceland to Israel, Great Britain to Morocco, through 20 countries, and experienced more culture than most Americans do in a lifetime. I look forward to assisting, inspiring, and motivating other students to studying abroad and expand their horizons this year. Hola! My name is Benjamin C. Witkowski and am currently a sophomore at the University of Wisconsin Whitewater studying international business and sociology. Never would I have thought that I could call Granada, Spain my second home in this vast world. The experience of living in a completely different place among people who speak a different language and enjoy a distinct culture, has opened my eyes to a wealth of distinct perspectives that I now hold dear to my heart. As someone who strongly supports learning day-in and day-out, being immersed into a lifestyle other than my own proved to be one of the best ways to learn more about myself and the world. I encourage anyone that has even the slightest of curiosity to study or travel abroad to go and do exactly that. There are so many more aspects in our world that can’t be learned by merely reading a book and writing a paper based on its contents, but rather information that can only be obtained by living life through another perspective of the world. So why not go discover your second home in this grand world and see what you can learn for yourself? Hola! 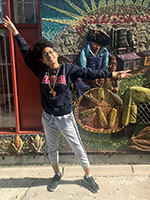 My name is Josie and I am currently a senior at Dominican University located thirty minutes from downtown Chicago. 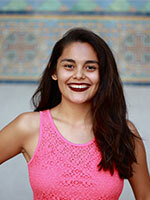 I am a double major in Corporate Communication and Journalism with a minor in Spanish. I spent my spring semester in the beautiful town of Salamanca, Spain. Studying abroad had always been a dream of mine since a friend’s sister first told me she was going to do it when I was in elementary school. Then I came across AIF through the study abroad office at my university. I knew I had to do it. By the time May 2018 came around, not only had I became a better Spanish writer, reader, and speaker, but I had visited eight countries and absorbed their culture and language as well. Studying abroad and traveling has opened up my eyes and heart to endless possibilities. I discovered my love for learning and understanding through my experiences. I hope to one day be a study abroad program director so I can make sure other students have the best experience of their lives. Hola a todos!! My name is Taylor and I’m a senior at Boise State University in Boise, Idaho and I’m double majoring in general business and entrepreneurship management with a minor in marketing. This last spring I got the incredible opportunity to study abroad in Barcelona, Spain and it was everything I dreamed it would be and more! 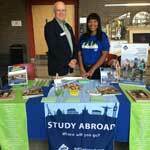 Before studying abroad, I hadn’t traveled much but always knew it was something I wanted to do. When I found out more about studying abroad with AIFS my junior year of college, I knew it was the perfect opportunity and I just couldn’t pass it up! In just four months I went from only being out of the country once to traveling to twelve different countries, including places like Andorra and Morocco. I fell in love with every place I went and learned more about myself and the world in four months than I have in my entire lifetime. It was amazing to see so many different cultures and hear so many different languages, I even learned quite a bit of Español! Studying abroad really is an amazing experience and I’m so excited I have the opportunity to use my experiences to hopefully encourage other students to embark on this amazing adventure as well! Hola! ¿Cómo estás? Me llamo Akilah Phillips and I am a senior at the University of Houston where I am majoring in Human Foods and Nutrition and minoring in Spanish for Global Professions (Healthcare Concentration). I always knew that I wanted to study abroad in Barcelona but I never thought that a entire semester abroad in Europe would be possible. Thankfully, the Universitat Pompeu Fabra’s Global Health Program allowed me to finish the last classes I needed for my Spanish minor. Barcelona is an amazing city with so much to see and do. With an apartment 5 minutes from the beach, it truly felt like a dream. Inma and the rest of the AIFS staff there were unbelievably amazing and welcoming. The best part of being in Barcelona to me was being able to practice my Spanish everyday with locals. Not only did three months in Spain significantly improve my Spanish, but I learned just as much in the classroom as I did outside of it. Eight countries and 15 cities later, I feel like a true European traveler and I have been able to meet people from all over the world. I went into this experience completely open minded and I can honestly say I’ve gained a greater appreciation of this world because of it! I even used my three months to reflect on my choice in career paths. Upon studying abroad, i was premedical student a semester away from graduating but my time abroad helped convinced me to take an extra semester to pursue my passion in the field of Sports Nutrition. Studying abroad is a truly once in a life experience that I will treasure forever and these memories will stay with me for the rest of my life. Thank you AIFS for making this possible.